Sony has released Firmware update v1.51 for the PlayStation Vita to fix the freezing bugs experienced by some users. The Japanese PlayStation website doesn’t mention specific details for the update, except that it may be required to play certain games and when accessing PlayStation Network features. Music Unlimited powered by Qriocity™ application has been updated. The error message that appears when sign-in to PlayStation Network fails has been revised. A new PSP system software update, v6.39, will be released soon. With this update, users who need to change their PlayStation Network password will be guided through the process. Also, system software stability during use of some features will be improved. Sony has released a new firmware update for the PSP. Firmware version v6.38 is a minor update that improves the stability of the system software during use of some features. In addition to the new Firmware, Sony has also updated the MediaGo applicaiton for the PC. 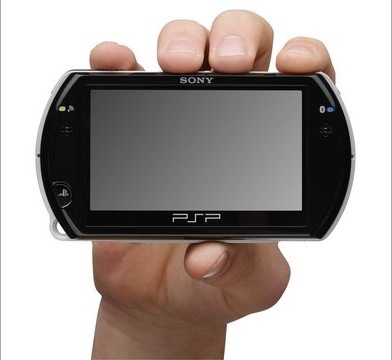 A new PSP Firmware is now available to download using the System Update feature on the device. Firmware version v6.37 is a minor update that improves system software stability during use of some features. It may also include some sort of code to block the recent hacking of the PSPgo, but this is speculation for now. A new PSP Firmware Update will soon be available. Bring the system software to version v6.35, the minor update prepares the PSP system for the upcoming launch of “Music Unlimited powered by Qriocity” – a new, cloud-based, digital music service from Sony that will give music lovers access to millions of songs stored and synchronized through the cloud. System software stability during use of some PSP format software titles has been improved. Music Unlimited powered by Qriocity has been added as a feature under Music. 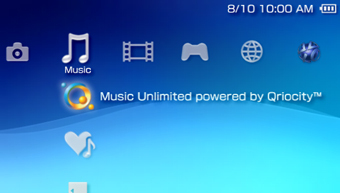 Music Unlimited powered by Qriocity is a subscription service that allows you to enjoy your favourite music on your PSP system, PlayStation 3 system, PC, and other supported devices.